Does Refreshed Version Of Satire Strike Gold? In true alchemist fashion, Ben Jonson's satire has undergone a few manipulations and extractions of its own in a bid to find theatre gold. Playwright Stephen Jeffreys has cut out about a fifth of the play and written a new prologue as part of his script revisions for this Royal Shakespeare Company (RSC) production for director Polly Findlay. Findlay is becoming quite the regular director for the RSC and she directs this play following on from her previous productions of last year's so-so Merchant of Venice in the Royal Shakespeare Theatre and the hugely well-received version of Arden of Faversham starring Sharon Small at the Swan Theatre in 2014. With this play, the director seems back in her element, pulling together a charming cast through a fast-paced tale of con artists and their prey in plague-hit London. The story revolves around the inscrutable Face, Subtle and Dol, who are working together out of a London townhouse while the master is residing in the countryside to flee plague that has hit the city. Not only are they each out for themselves, but their stream of gullible victims are equally as greedy, falling for ridiculous scams based around the pretence that the con artists have the power for alchemy and astronomical abilities to predict the future or make them rich. Showing at The Swan Theatre in Stratford upon Avon from May 26 to August 6 in repertoire and then London's Barbican Theatre from September 2 to October 1, The Alchemist builds up slowly until the interval and then gets going on all cylinders after the break. The script revisions help give a fresh, zesty and contemporary feel, despite the play being set in 1610 with full historic dress. Even before it starts, there's modern references in the orchestral music of the A Team theme tune (well there is a character called Face conning people in that show too). The fine actors playing the central trio play them as lovable rogues and each has immense charisma on stage. 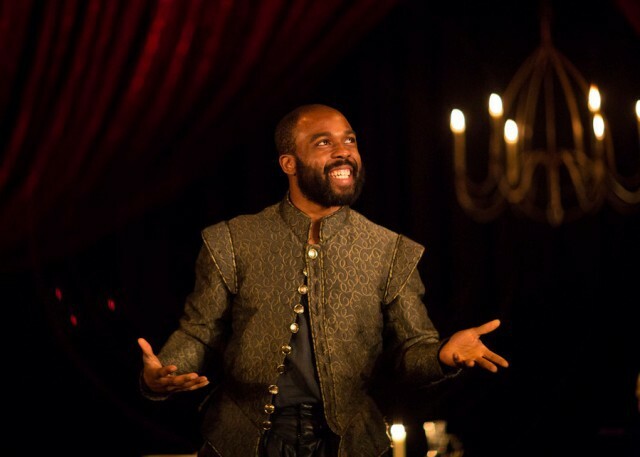 Interestingly, Findlay has used her experience to use actors from her previous shows like Ken Nwosu, whom she worked with last year in The Merchant of Venice, to play Face. 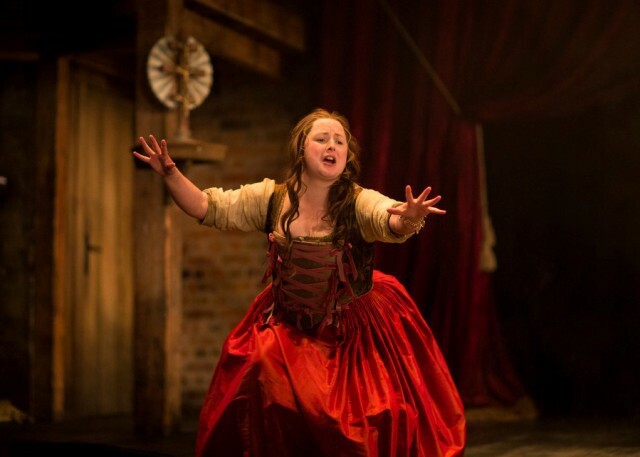 While Siobhán McSweeney, who featured in Findlay's production of As You Like It at the National Theatre, is well cast as mouthy prostitute Dol Common. You may recognise McSweeney from Channel 4 drama No Offence in which she played Ruth Cheetham. Joining them is Mark Lockyer as Subtle, who has the juiciest role in transforming himself into soothsayer, alchemist or whatever the con requires. 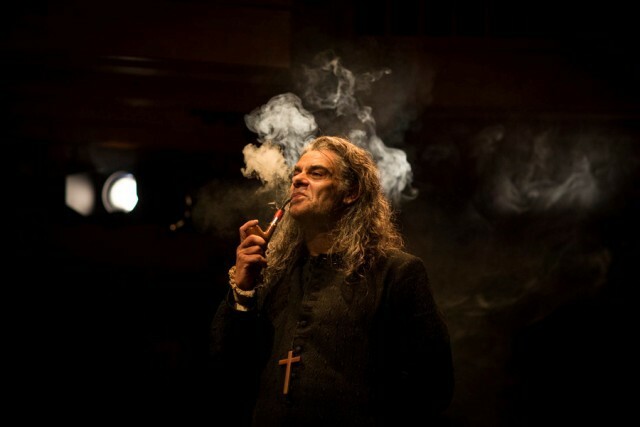 Lockyer seems to relish this dark, devious character and he deserves praise alone for continuing through the press night performance to the end despite popping his knee shortly after the interval and hobbling off in pain for a few minutes to recover. There's some lovely character acting throughout though as one by one the eccentric neighbours pop in to be conned. Ian Redford is delightfully over the top as ridiculous Sir Epicure Mammon, who constantly gets carried away listing off all the things he'll do and have when his dreams come true. Richard Leeming is also a treat as dim-witted, naive tobacconist Abel Drugger. It's Leeming's debut season with the RSC and he's already getting himself noticed. Then there's hilarious Tom McCall as Kastril. He's suitably flamboyant and slick with the comic timing. Needless to say, everyone gets their comeuppance but the fun, quirky journey there is an entertaining one. Looming above it all is an embalmed crocodile, which gives new meaning to crocodile skin handbags as the crooks use its mouth to hide their illicit earnings. It's a clever touch as a crocodile would apparently be seen hanging from the ceiling of an alchemist's laboratory, or even a church as a sign of the devil, in medieval times. With all these details, Findlay has secured herself another RSC success, so maybe she has the Midas touch when it comes to bringing a fresh take of Jacobean and Elizabethan plays to modern-day audiences.